With the cooler weather also comes cold and flu season. This time of year the germs just pass from one family member to the next. While it is hard on the family for the kids to get sick, it’s never good if mom gets a cold or flu. I know I don’t get to take the day off to take care of myself, I can’t call in for a sick day. 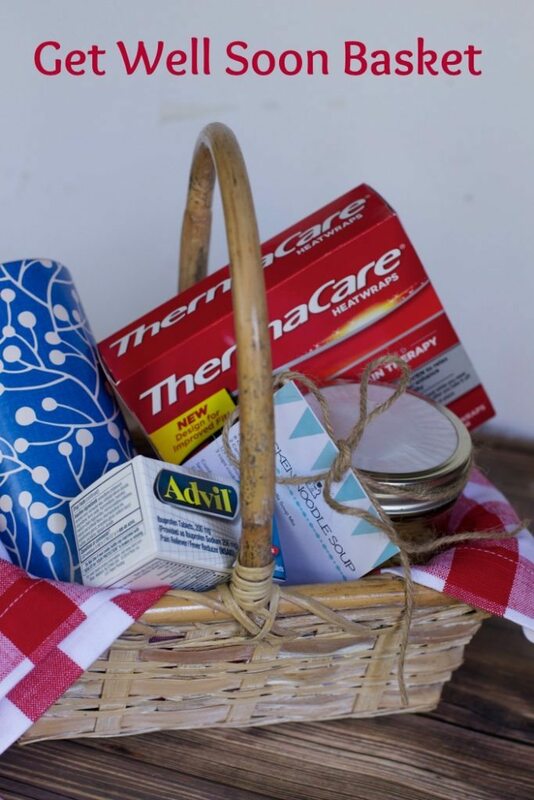 Caregivers don’t get a break but you can get them prepared with this fun get well basket filled with our homemade chicken soup Mix in a Jar Gift. Just knowing someone is thinking of you will help you feel better. Chicken soup is always something I crave when I am down with a cold. Having an arsenal of this Chicken soup mix in a jar will come in handy in my own house as well as make a great gift for someone not feeling well. It will store great in your pantry. 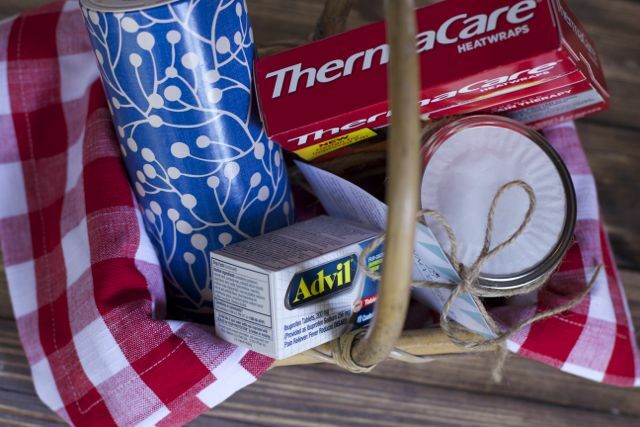 You don’t need much to make this quick but thoughtful get well gift. 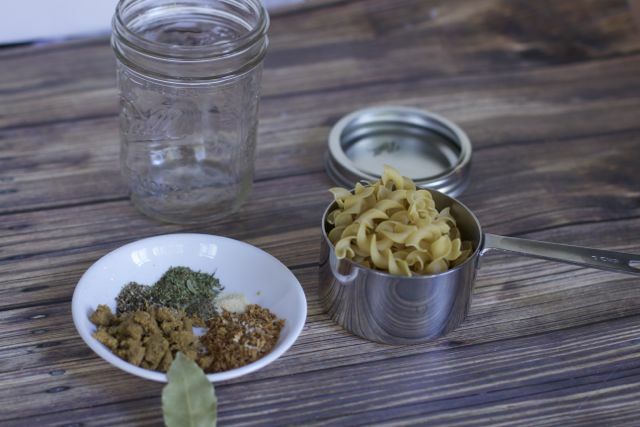 Any clean glass jar, egg noodles and spices. 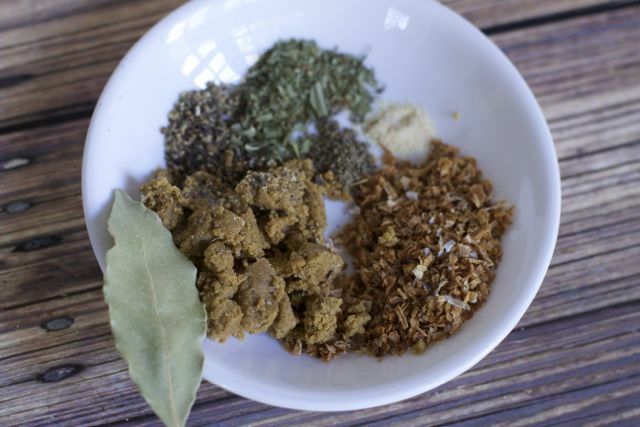 Measure out all of your spice ingredients, except the bay leaf. 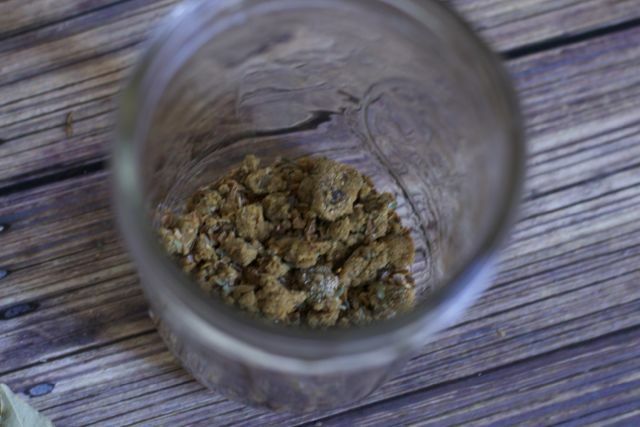 Mix them well and place them in the bottom of your glass jar. Top the spice mixture with the cup of egg noodles. 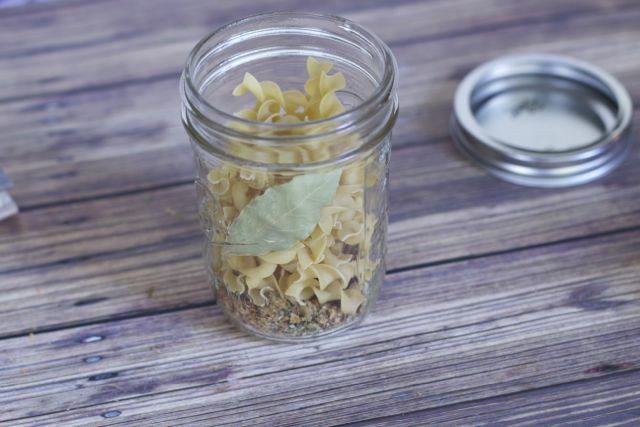 Place the bay leaf on the interior of the jar. 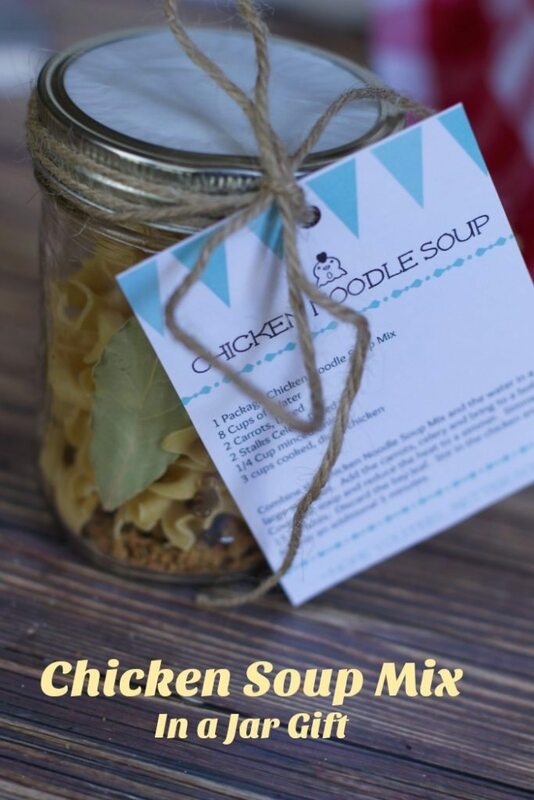 Print a free Chicken Noodle Mix in a Jar Recipe printable. Anyone will be thrilled to receive this thoughtful gift. It’s time to stock up on Pfizer products that help support their immune systems like Centrum and Emergen-C and to be prepared when sickness strikes with products like Advil® and Robitussin. When shopping at Walgreens be sure to take advantage of the $8 in coupon savings. 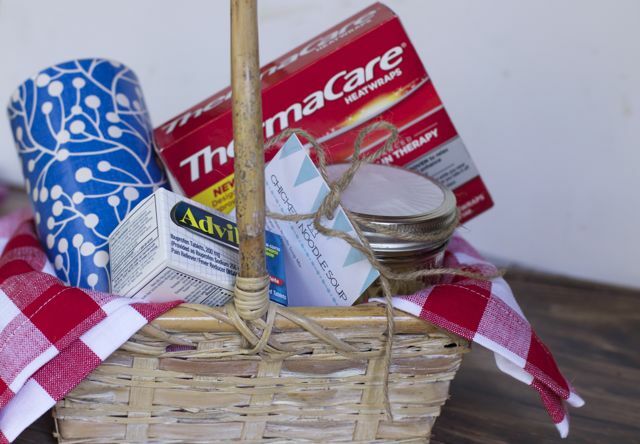 What would you add to this Get well basket? *These statements have not been evaluated by the Food and Drug Administration. This product is not intended to diagnose, treat, cure, or prevent any disease.Use as Directed. What a great gift idea especially for the cooling season. I’d love to create a few for friends and family. My mom will surely love it! It’s also perfect for cold nights. I really love this gift idea. totally agree, i hope it comes in handy, maybe I should include some broth too. I always love trying out different healthy Soups as they become become an important recipe option during winter in particular. The Chicken Noodle Mix is such a wonderful gift idea to make sure you can prepare them so easily when needed instead of searching for each ingredients. 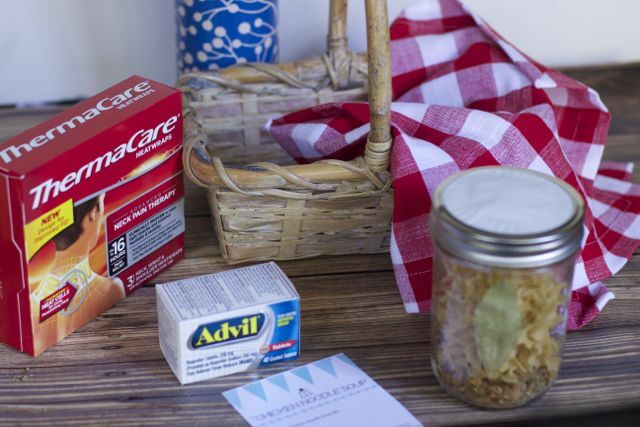 This sounds like a great get well basket!!! I have never seen a jar of soup like this before, what a gVreat idea. I think the chicken soup mix in the jar will come in handy for my next cold too. What a great idea! This sounds good, and very thoughtful! I could use everything in that basket right now.. I’m so miserable with a cold. The soup is exactly what I need! I have seen people give jars with the ingredients to make cookies but never soup. This is such a great item to include in a care package. This is a great way to spread your love through this chicken soup mix in a jar gift. What a super cute idea! I love the idea of a chicken soup mix in a jar gift for relatives and friends. I am going to give this a try! There’s really nothing like chicken soup when you’re down with sniffles right? And this is a clever idea! 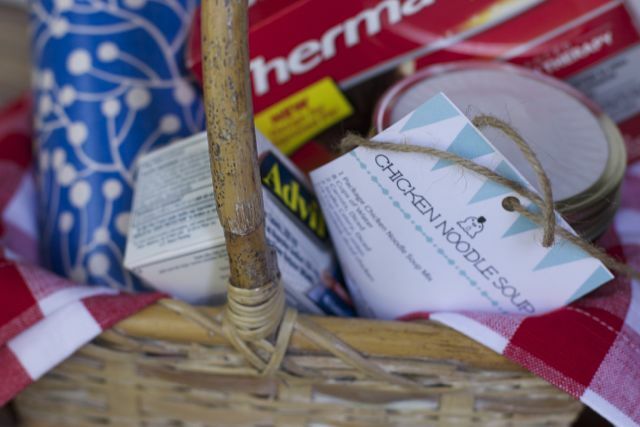 Love the soup in a jar and the little get well basket! What an awesome little care package. who wouldnt want to receive this! I would!